Slavery is not a thing of the past. Children and adults are trafficked all over the country to be used for illegal means. How bad is it? 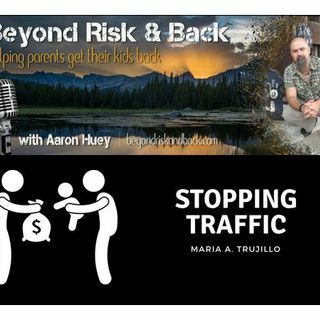 Aaron Huey interviews Maria Trujillo about Human Trafficking in Colorado. Who’s doing it, what for, and what we can all do to help put an end to slavery. Maria A. Trujillo currently serves as the Human Trafficking Program Manager at the Colorado Department of Public Safety, Division of Criminal Justice, Office for Victims Programs. Ms. Trujillo overseas and ... See More coordinates the efforts of the Colorado Human Trafficking Council that was legislatively established by the Colorado General Assembly. She also was the Executive Director of the non-profit organization, United Against Human Trafficking, whose mission is to prevent and confront human trafficking by raising public awareness, training front-line professionals and empowering the community to take action. Prior to her time at UAHT, Ms. Trujillo lived in Washington, DC where she worked for an international development organization called Health Volunteers Overseas. She also obtained her master’s degree in International Communications at American University. She also holds a BA in International Relations from Claremont McKenna College. She has served as a speaker and expert technical advisor on the issue of human trafficking at the national, state and local levels, including being invited to the White House to participate in a stakeholder meeting to advise the government on their federal strategic action plan to address human trafficking. Maria has also been recognized for her work on combating human trafficking as a “Circles of Change” honoree by Building Bridges for Peace and a “Table Talk” honoree by the University of Houston’s Friends of Women’s Studies.